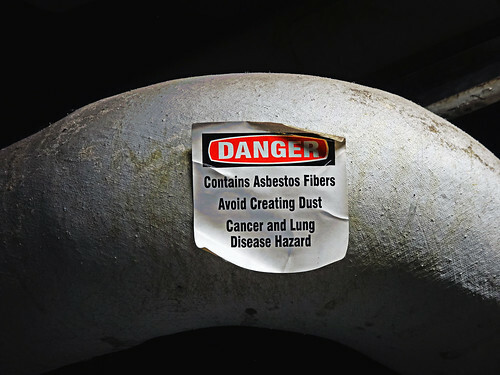 Listen in as Kaylen Jackson, our Medical Outreach Director, discusses what you should do if you think you’ve been exposed to asbestos, either recently or years ago. Typically, these inquiries come from two different types of people. The first are individuals who were exposed to asbestos recently. This could be during a home renovation that they were doing yesterday, or maybe they just learned that a house they lived in a number of years ago contained asbestos. For these inquiries, it’s important to remember that there is a latency period of about 15 to 30 years from when people are exposed to these materials to when they develop a resulting illness. So the likelihood that you are sick from your exposure is very unlikely, but if you are concerned we recommend that you make your physician aware of your exposure so they can monitor your symptoms going forward. Now the second type of individual is someone who was exposed to asbestos during that dangerous latency period time. This could be someone who served on a Navy ship 30 years ago, or maybe somebody who worked in a factory making brake pads 15 years ago. For these people, we recommend that you definitely monitor your symptoms (a persistent cough that doesn’t go away/pneumonia-like symptoms), make your physician aware of your exposure, and then if you don’t know where to start, a pulmonologist is a good doctor to contact. This is someone who specializes in lung health. They can schedule initial screenings, do some scans and find out if there is anything suspicious going on. If there is, they can schedule additional tests and go from there. Was this video helpful? What other topics would you like Kaylen to cover? Let us know in the comments below, on Facebook, or on Twitter.